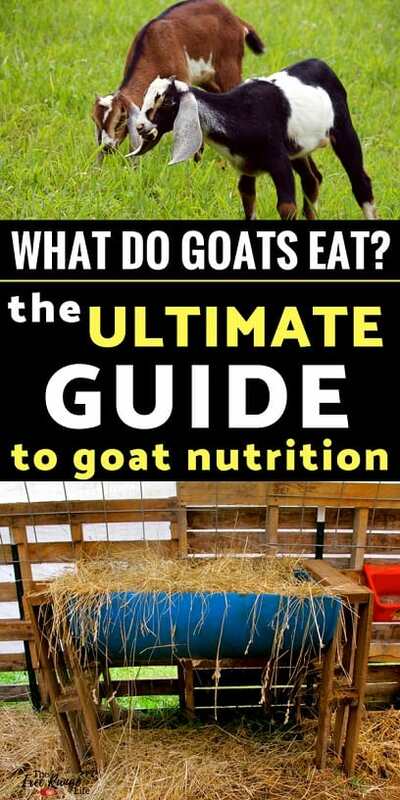 What do goats eat? Many people will tell you that they will eat everything, after all goats have a reputation for being garbage guts, eat tin cans and all, but this is actually farm from true. While they do taste with their tongues and will nibble on your clothes or hair if given the chance, they can be quite picky when it comes to food. Goats are ruminants. This means that they have a 4- chambered stomach. Their food undergoes different fermentations to break down the variety of woody and fibrous plants. Goats are also herbivores and can’t handle any meat or animal byproducts in their food. So make sure they don’t have an access to meat-containing products like your chicken food! These can cause serious problems in their rumen and result in things like scours, bloat, or acidosis. A properly fed goat will be much healthier and be able to fight off sickness and parasites much more easily. So let’s dive deeper into the daily feed needs of your goat. An ample pasture is much better for your goats, than a small dry lot (though you can raise them on a small lot). Goats are browsers, not grazers, which means they prefer to eat and browse a variety of weedy plants and trees, as opposed to grazing on a pasture of straight grass. That being said, they will mow down the grass if that is all that is available to them. 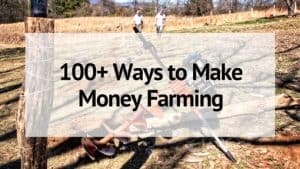 If you don’t have access to a large pasture, you can also train your goats to a lead and tie them out in areas of your yard that are not fenced. This is a good option for when you are outside doing other things and can supervise. 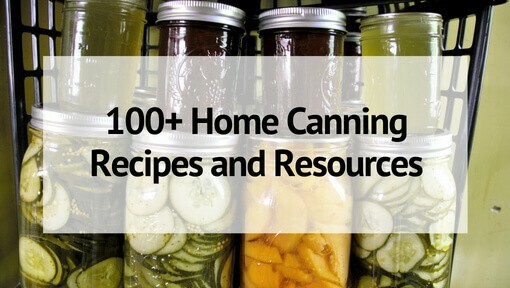 You can also feed them forage in the form of cuttings from around your yard. So trim those trees, briars, and weeds and throw them over the fence for the goats to eat. Just make sure you aren’t trimming something that is toxic to them. Goats need the extra nutrition that comes from feeding hay. They get a good deal of protein and energy from hay, especially in the winter months. 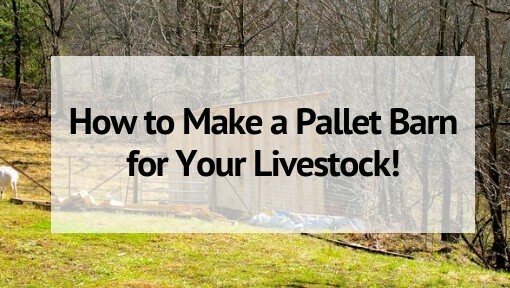 The amount of hay needed will vary depending on how large of a pasture your goats have access to but a good rule is about 5 lbs of hay per goat per day. You will use less hay in the summer than you do in the winter months if your goats have access to pasture and a lot of forage. Quality Matters- poor quality hay gives poor quality nutrition. Alfalfa is the highest in protein and is one of the best to feed does if you have access to it. 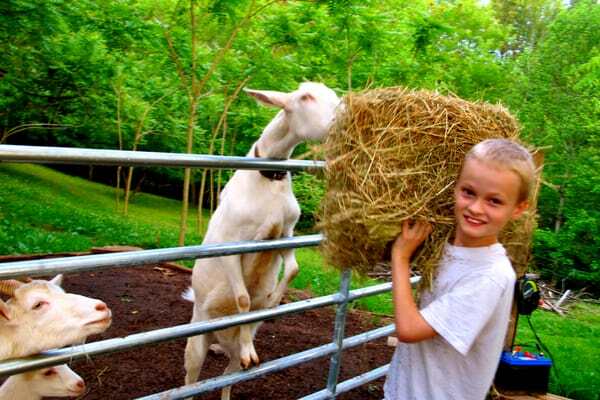 Goats will waste a lot of hay, so feed it in smaller amount and keep it off the ground in a hay feeder. If you have trouble finding good quality hay in your area you can try a product like Chaffhaye, which is fermented chopped alfalfa in bagged form. Our goats love it! If your goats are on a dry lot they should have access to good quality hay at all times. Feeling overwhelmed with the work that goes into caring for your goats? 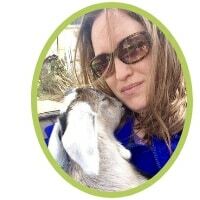 Check out my Busy Homesteader’s Goat Management Binder to help you manage your time and your herd! Grains are not necessary for all goats, but there are some scenarios in which you will need to supplement your goat’s diet with grains. During these times, goats benefit from a little added nutrition that they may not be getting from forage and hay alone. Keep in mind that grain should make up no more than 10% of their diet. We only give adult goats about 1-2 cups of our grain mixture per day, unless they are near the end of pregnancy or milking- then they get extra grain on the milk stand. You can feed a high quality, high protein pelleted feed from your local feed store, but I like to make a mixture from a few different products such as pelleted feed, sweet feed, black oil sunflower seeds, and alfalfa pellets. I mix this all up and feed it at the rate I mentioned above. If you have any goats that are not keeping weight on with free choice hay, forage, and their grain ration but are otherwise in good health, you can add in a bit more grain, especially if it is a doe nearing the end of pregnancy or a high producing doe in milk. The key is to not make drastic food changes suddenly or you can cause rumen troubles such as bloat or acidosis. You need to provide a high-quality, free-choice, loose mineral to your goats. This mineral should be available to them at all times. 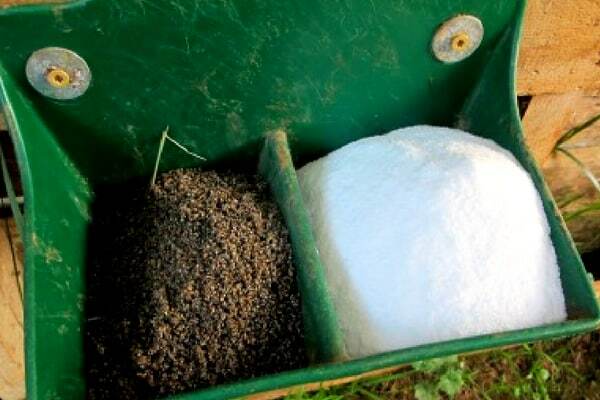 Since we have a large herd, we have a field mineral feeder, but we also have small double mineral holders in the barns that we keep filled with both mineral and sodium bicarbonate (another thing that is good to keep available free choice). It may seem like your goats don’t eat mineral, but it is still good to keep out at all times, just in case. This helps prevent deficiencies. Check your local feed store for a mineral that is specifically formulated for goats. It is important that the mineral is for goats and not also for sheep, since sheep mineral will not have the copper that goats need. If you have it available in your area, Sweetlix Meat Maker Goat Mineral is one of the best.